BRIDENSTINE, JAMES FREDERICK (1975– ). On November 6, 2012, Oklahomans elected Republican Jim Bridenstine to serve as U.S. representative from Oklahoma's First Congressional District, which includes Tulsa, Washington, and Wagoner counties as well as parts of Rogers and Creek counties. Born on June 15, 1975, in Ann Arbor, Michigan, Bridenstine is the son of Wayne and Jane Bridenstine. The family soon moved to Arlington, Texas, and eventually to Jenks, Oklahoma, situated south of Tulsa. 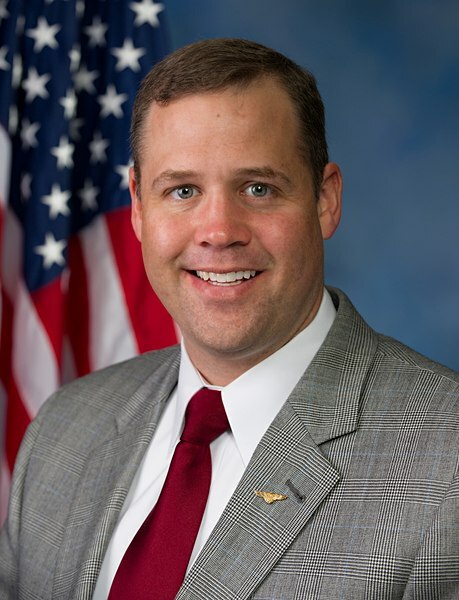 After graduating from Jenks High School James Bridenstine received a bachelor's of arts degree in 1998 from Rice University, Houston, Texas. At that university he majored in business administration, economics, and psychology. After college Bridenstine served in the U.S. Navy from 1998 to 2007. He flew the E-2 Hawkeye, an airborne command and control plane, during his tour of duty flying combat missions in Iraq and Afghanistan. In 2004 he was stationed at the Naval Strike and Air Warfare Center in Fallon, Nevada, where he transitioned to flying the F-18 Hornet. On November 6, 2004, in Fort Worth, Texas, Bridenstine married the former Michelle Deanne Ivory. Following his active duty in the Navy, the Bridenstines moved to Orlando, Florida, where he worked at Wyle Laboratories, a defense consulting firm. During this period he pursued a master's degree in business administration from Cornell University, Ithaca, New York, and acquired the degree in 2009. In 2008 the Bridenstine family, including three children, returned to Tulsa where he was executive director of the Tulsa Air and Space Museum. In September 2011 Bridenstine launched a campaign to unseat five-term incumbent Republican U.S. Rep. John Sullivan. Bridenstine won the June 2012 primary election with 54 percent of the votes compared to Sullivan’s 46 percent. In the 2012 general election Bridenstine defeated Democrat John Olson and Independent Craig Allen. After serving in the House of Representatives for five years he resigned and became director of the National Aeronautics and Space Administration on April 23, 2018. The Almanac of American Politics, 2014 (Washington, D.C.: National Journal, 2013). Biographical Directory of the American Congress, 1774–Present (Washington, D.C.: U.S. Congress), http://bioguide.congress.gov (accessed October 29, 2013). Tulsa (Oklahoma) World, 10 October 2004, 21 December 2008, 27 June 2012, 7 November 2012, and 13 December 2012. Linda D. Wilson, "Bridenstine, James Frederick," The Encyclopedia of Oklahoma History and Culture, https://www.okhistory.org/publications/enc/entry.php?entry=BR031.